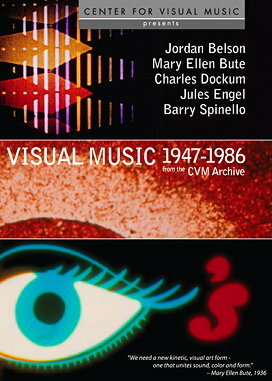 Center for Visual Music (CVM) is a Los Angeles-based archive devoted to visual music, experimental animation and abstract media. 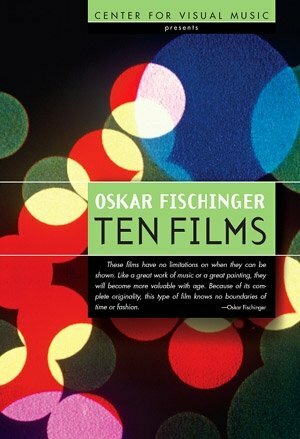 CVM's previous DVD releases include Oskar Fischinger: Ten Films and Jordan Belson: 5 Essential Films. 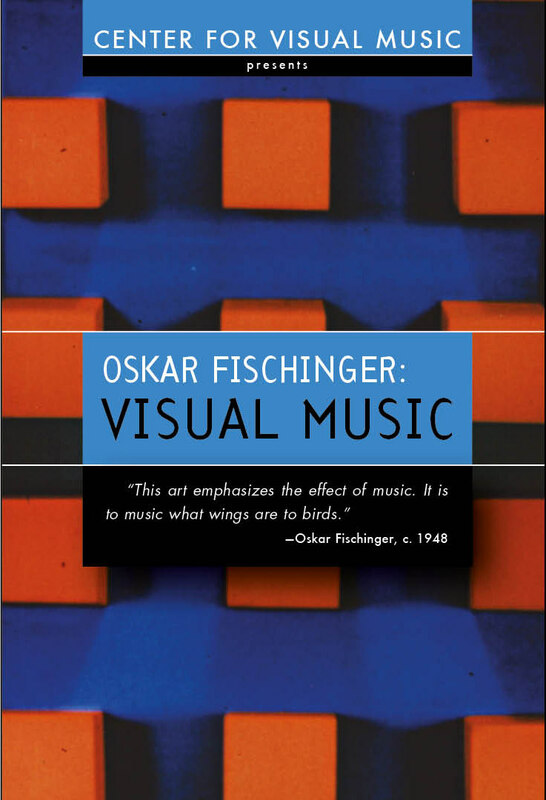 CVM's archive contains the world's largest collection of visual music resources including the papers and films of Oskar Fischinger, and the research collection of film historian William Moritz. CVM' HD three-screen Fischinger reconstruction, Raumlichtkunst, was recently exhibited at Tate Modern, London; Whitney Museum, New York, and Palais de Tokyo, Paris. CVM's films, programs and lectures are featured in museums, archives, festivals, and cultural centers worldwide including The Guggenheim Museum, New York; Centre Pompidou, Paris; Hirshhorn Museum, Washington, DC; ZKM, Karlsruhe; Musée du Louvre, Paris; MOCA Los Angeles; Barbican Centre, London; Whitney Museum, New York; Raven Row, London; Akademie der Künste, Berlin; Kunsthalle Zurich, Tate Liverpool, Kunsthalle Vienna; Fondazione Prada, Venice; Gallery of Modern Art, Brisbane; National Gallery of Art, Washington, D.C., and others worldwide. Thirteen rare films featuring pre-computer abstraction, using a variety of techniques including early oscilloscope experiments, color organs, hand-drawn sound, animation drawn directly on film, painted scrolls, and optical printing. Films from the archive of Center for Visual Music. 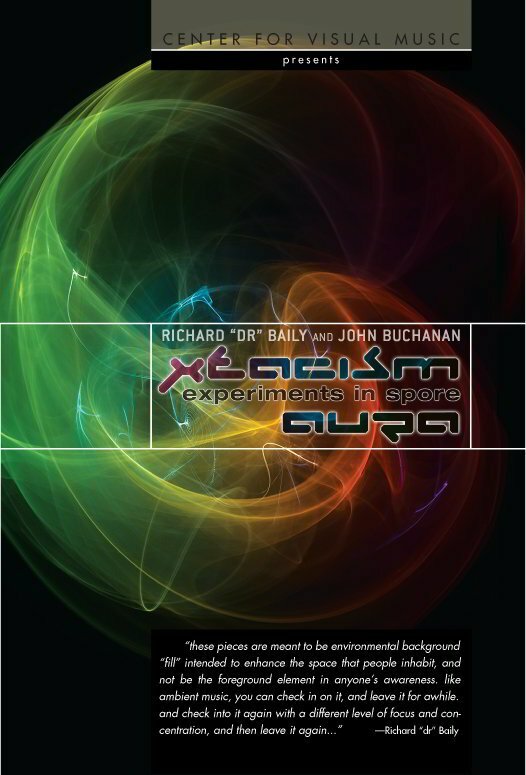 Richard “dr.” Baily and John Buchanan: experiments in spore presents three personal art films by Baily, a Hollywood computer graphics visionary (from Tron to Fight Club, Solaris and more), assisted by John Buchanan. It features xtacism (2005), aura (2007), and Baily's Nightwaves (1977), made at Cal Arts. aura was completed posthumously by John Buchanan. Music by Richard Baily. Seidel, who studied at the Bauhaus University Weimar, creates video installations, media façades and experimental films. 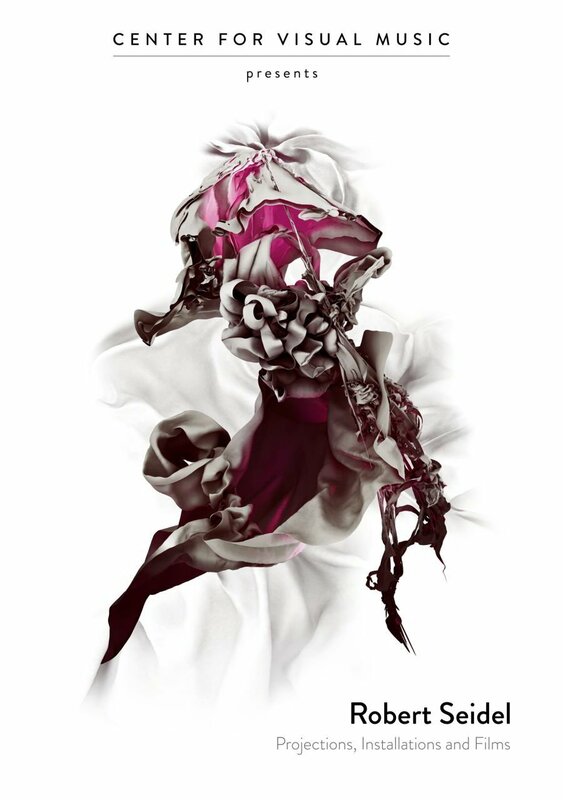 Seidel pushes the boundaries of abstraction to the sublime and organic through his approaches drawn from scientific visual analysis and digital extensions of painting and sculpture. The DVD collects his major films, videos and documentation from his projections and installations from 2001 to 2014. Edited by Cindy Keefer and Jaap Guldemond. 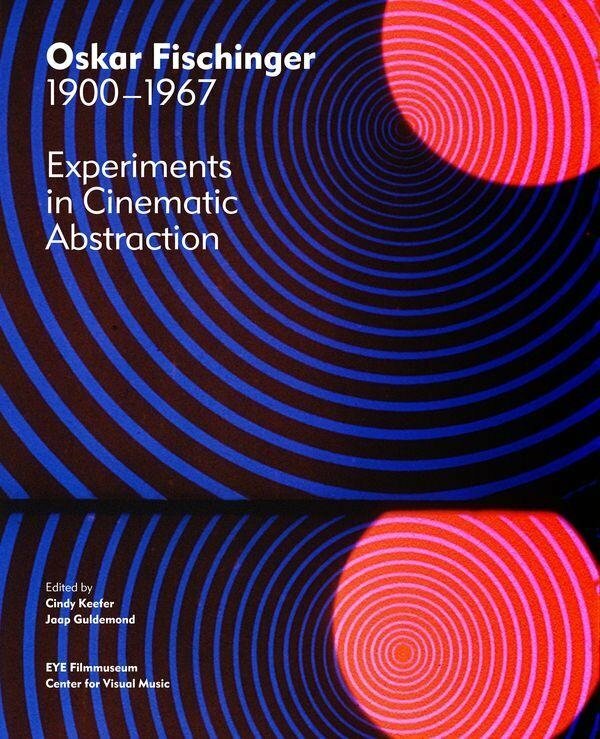 This new monograph explores the position of Fischinger's work within the international avant-garde. It examines his animation and painting, his use of music, his experiences in Hollywood, the Lumigraph, visual music theories, and his influence on today's filmmakers, artists and animators. The book also contains previously unpublished documents including texts by Fischinger himself, and unshot animation drawings. Essays compiled and commissioned by editor Keefer include new research and texts by Jean-Michel Bouhours, Jeanpaul Goergen, Ilene Susan Fort, James Tobias, Cindy Keefer, Richard Brown, Joseph Hyde, Paul Hertz, Joerg Jewanski, and more. 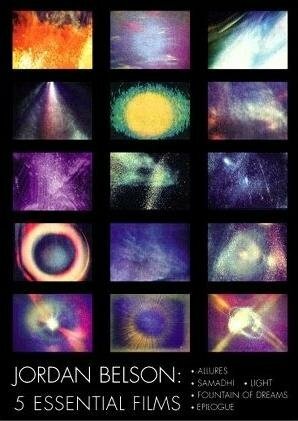 Jordan Belson is one of the greatest artists of visual music. Belson creates lush vibrant experiences of exquisite color and dynamic abstract phenomena evoking sacred celestial experiences.